The auspicious event of Ashwin Navratra was celebrated with fervour and festivity on all the nine sacred days at Shree Aniruddha Gurukshetram during the month of September. Shraddhavans turned up in large numbers to offer obeisance to Mother Durga. On the first day at the dawn, Shraddhavan volunteers of Shree Aniruddha Gurukshetram performed the sacred ritual of “Mangal Snanam” of Mata Shivgangagauri. She was then worshiped with Kumkum-Haridra, yellow flowers and garlands. Present Shraddhavans continuously chanted the “Shivgangagauri Gayatri Mantra” during the ritual. Technology has always had a pivotal role to play in furtherance of the activities of the Organisation. This issue of the Newsletter gives a brief overview on the Organisation’s perspective in this regard and the steps taken to stay abreast with the technological developments. On the auspicious occasion of festival of lights, I wish all my Shraddhavan friends and all our well-wishers a very Happy Diwali and I pray at the Lotus Feet of Sadguru Shree Aniruddha (Bapu) to shower his eternal grace on them and their near and dear ones. 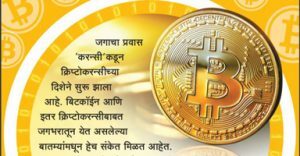 Shree Aniruddha Upasana Foundation has a dedicated Information Technology team which works on various technical activities. The activities include developing and managing web properties such as WordPress based websites, Google blogs, managing YouTube channels that provide Shraddhavans with up to date information about Bapu and various activities of the Organization. Android apps are also developed by the Information Technology team. These apps refer to the web properties mentioned above so that Shraddhavans can get latest information at their fingertips! Information Technology support counter is also available at Shri Harigurugram every Thursday as well as during Utsavs in order to resolve queries of Shraddhavans related to these websites and Android apps. AADM DMVs now update their profile/data available with AADM head office directly online by visiting http://dmvprofile.aniruddhasadm.com. Information Technology team provides AADM DMVs with barcode/QR code based cards. These cards are scanned at the seva locations which provide necessary information to AADM head office about the DMVs. This also helps in marking the DMVs attendance during sevas. eCommerce site, associated Android app and desktop chrome app of Shree Aanjaneya Prakashan (https://www.e-aanjaneya.com) called ‘Aanjaneya e-SHOPPE‘ is also maintained by IT-Web team. This site has wide variety of books, ebooks, magazines, e-magazines, Audio/Video DVDs. The desktop Chrome App of the Aanjaneya e-SHOPPE website is available on Chrome Web Store. This app works on Windows and MAC OSX desktops and laptops. Android app is also available in Google Play Store. eBook/eMagazines to which Shraddhavans have subscribed can be downloaded and read offline through the Android and desktop chrome apps. The eCommerce based website also provides courier delivery facility. The print media and DVDs ordered online by Shraddhavans are delivered to their respective addresses through courier delivery. 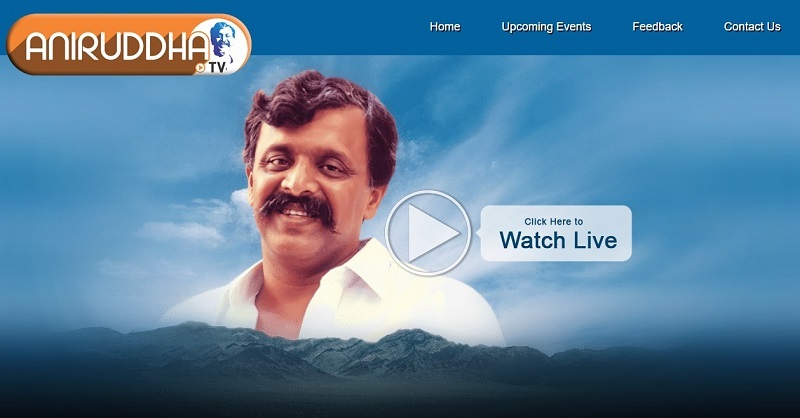 Shree Aniruddha Upasana Foundation runs a livestreaming service through which important footages of utsavs, Thursday upasana at Shri Harigurugram and Sunday English Upasana are live streamed on Aniruddha TV (http://www.aniruddha.tv). Shraddhavans can now watch the happenings live directly from their desktops, laptops, smartphones. Sunday English Upasana are live streamed on Aniruddha TV (http://www.aniruddha.tv). Shraddhavans can now watch the happenings live directly from their desktops, laptops, smartphones. 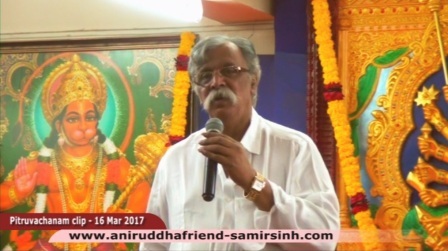 Sadguru Shri Aniruddha Bapu strongly believes in the principle of learning while you work and working while you learn. Effective use of cloud computing technology is one such example. One more similar outcome of it is a small server room wherein the internal/intranet based applications related to Organization‘s daily work are managed. The server room uses the virtualization technology for managing the different applications. The server room effectively uses the principle of Jugaad which Sadguru Aniruddha Bapu insists upon. Shraddhavans can offer their seva in the above mentioned projects. At Om Jay Siddhivinayak CHS Hall, Goregaon East, Mumbai from 11th September 2017 to 17th September 2017. At AADM Office, Dadar from 11th September 2017 to 17th September 2017. A total of 3809 DMVs (3609 from Mumbai, 129 from Pune and 71 from Nigdi) participated in the crowd management seva to assist the Police authorities on the day of Anant Chaturdashi at various immersion spots. Of the above, 86 DMVs from Sangli and Jalgaon Districts participated in the seva at Juhu Beach while 98 DMVs from Raigad, Aurangabad and Nashik Districts participated in the seva at Girgaon Beach. On the request of the Bandra Police Station authorities, Aniruddha’s Academy of Disaster Management deployed its Disaster Management Volunteers for controlling traffic and crowd at Mount Mary, Bandra, Mumbai on 16th and 17th September 2017. Aniruddha’s Academy of Disaster Management deployed 379 Disaster Management Volunteers for both days in 3 shifts. They offered assistance to the Police authorities of Bandra Police Station in controlling traffic and crowd of devotees on this occasion. Participants: 265 DMVs from 26th September 2017 to 29th September 2017. Participants: 97 DMVS from 23rd September, 2017 to 29th September, 2017. Participants: 1383 DMVs from 21st September, 2017 to 29th September 2017. 104 trained volunteers of Aniruddha’s Academy of Disaster Management were present in areas of above mentioned Corporations, on 17th September, 2017 from morning 9.00 am to 5.00 pm in the evening.